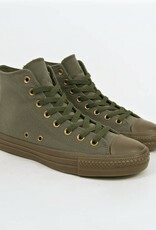 Converse USA Inc. CTAS Pro Hi Olive/Gum - APB Skateshop LLC. Converse present you with Kevin Rodrigues’ rendition of the CTAS Pro Hi. 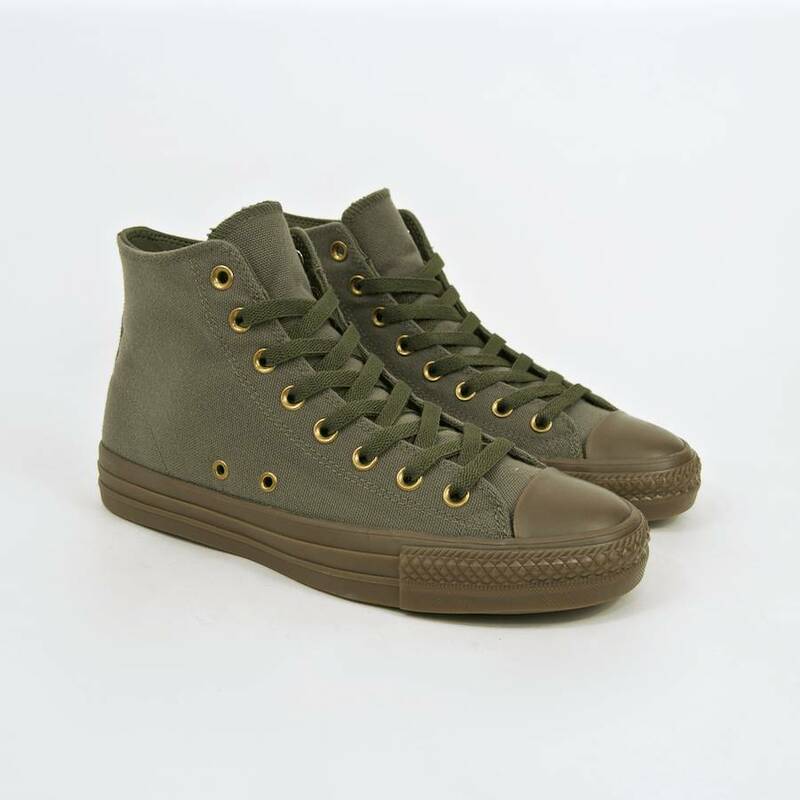 The French skater looked at a basketball shoe that was worn by the army in the 1940’s, whilst they were off duty, for the inspiration of this shoe, with it’s olive green canvas upper, it’s clear to see the shoe has military tendencies. This upper on the Converse CTAS Pro Hi Kevin Rodrigues Shoes are constructed from 14oz durable rubber back canvas, therefore meaning it’s going to be extremely durable, especially with the help of the iconic rubber toe cap that features on this shoe. Inside the Converse shoe, there is a specially developed double density molded Ortholite sockliner that features heel and forefoot pads. While the insole has a Nike Zoom Air heel unit to deliver you with responsive cushioning that springs back for the best impact protection. Sitting below this strongly built upper is a vulcanised gum outsole with CONS traction rubber that is extremely durable and offers high quality board control and traction. Flaunting minimal detailing, the Kevin Rodrigues CTAS Pro Hi has a green printed Converse logo on the inner of the shoe, while the insole features custom artwork by one of Kevin’s friends.